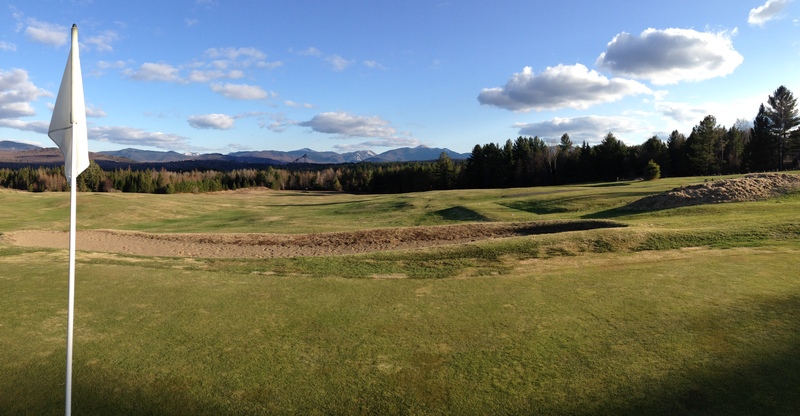 Along Route 86, the Lake Placid Club offers spectacular courses. The Mountain Course, rated 4-Stars by Golf Digest in the summer of 2006, features breathtaking views of the Adirondacks. The setting is unsurpassed for its views of New York’s highest peaks, Mt. Marcy, Mt. Colden and Mt. Algonquin. All were still covered by snow. I was standing there enjoying the sunset, with singing birds all around in the trees. A perfect setting, reproduced on the attached photo. Enjoy!